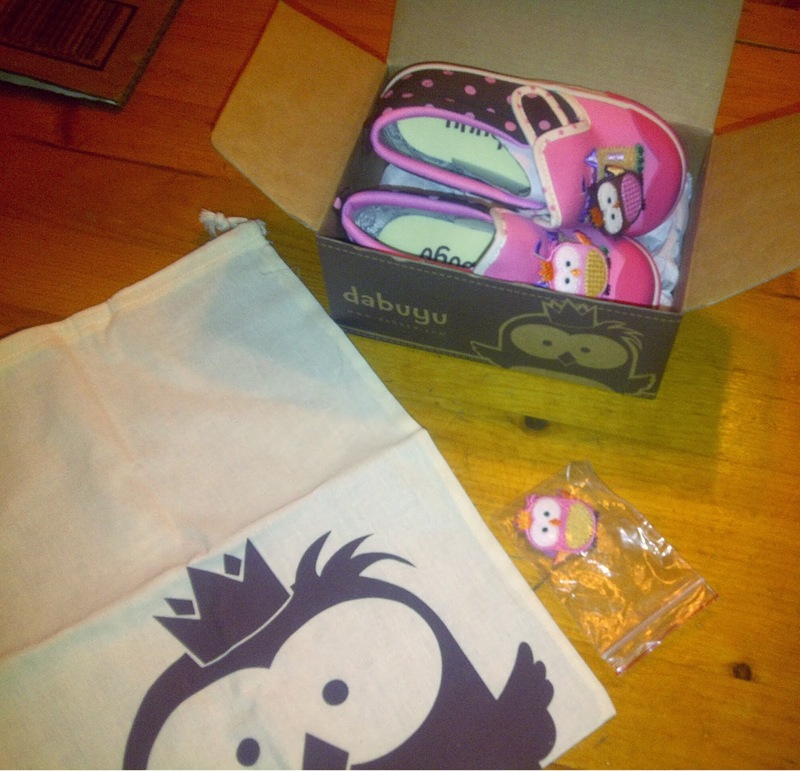 Mama Love: Dabuyu Shoes Review + Giveaway! Somehow my youngest daughter, who is 3, always ends up having the most shoes out of anyone else in the house! She loves shoes and cute toddler shoes are my kryptonite! So when I found Dabuyu Shoes it was instant love, then when I found out that I would not only be reviewing their shoes, but also givingaway a pair I was beyond excited! Dabuyu is a very cute and unique shoe shop for toddlers and kids, that is ran/created by a Mom of 2! In fact her oldest daughter named the company at age 2 and a half! 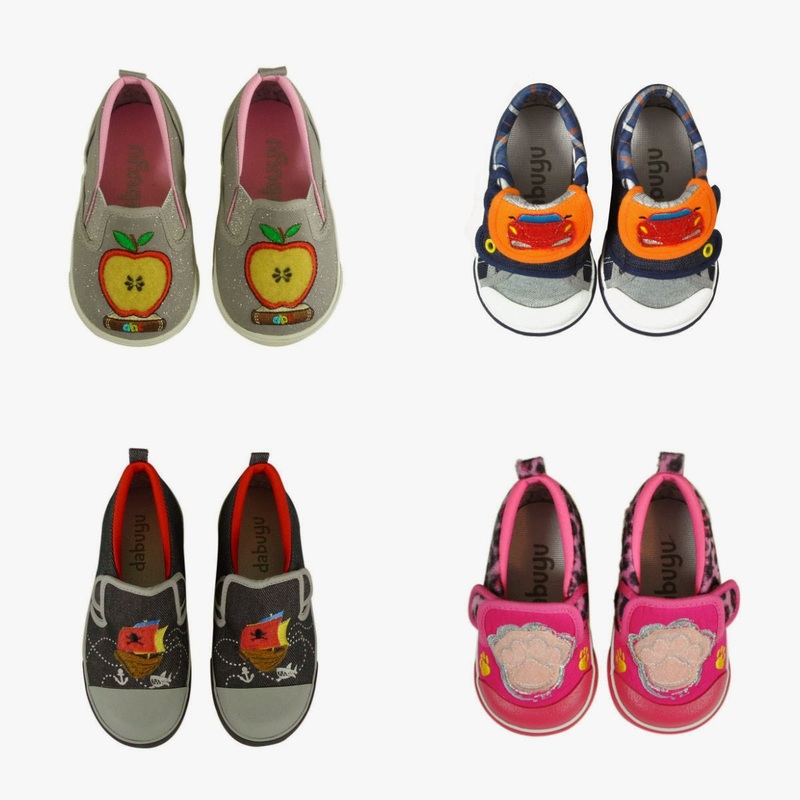 With Dabuyu Shoes you will find a whimsical selection for boys and girls from toddler size 5 all the way through Kids size 2! 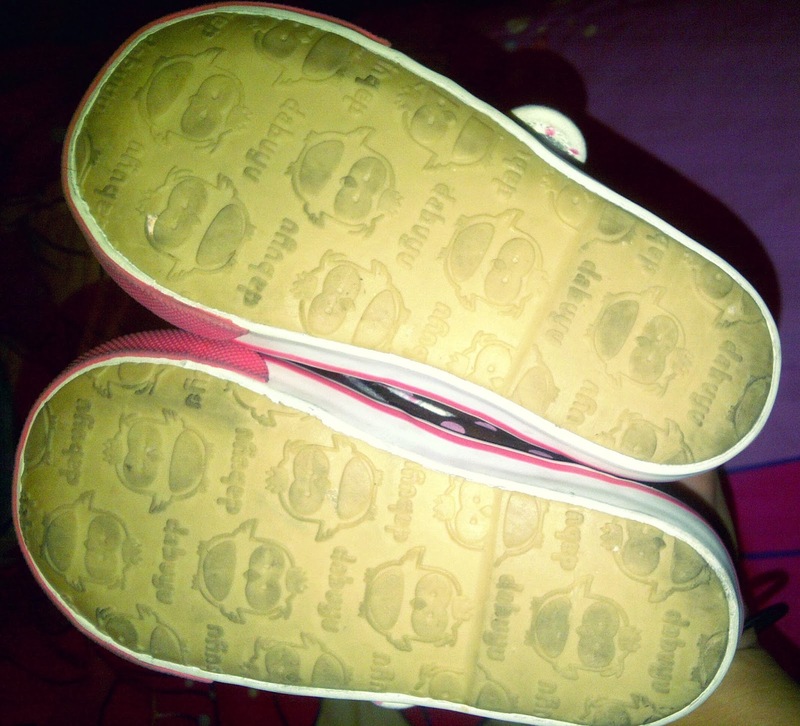 These Neat Shoes not only come with a Fun design but also removable patches that you can change on the shoes! More on that below! Look How adorable these shoes are!!! I mean no need for me to tell you about them the pictures say it all!! I Knew these shoes were going to be cute When I saw them online, but once they arrived at our home and I opened them, they were even cuter! Who would have ever known that one day I would get more excited over toddler shoes than shoes for myself! These Shoes came with a cute little bag to keep them in and an extra Velcro back patch! 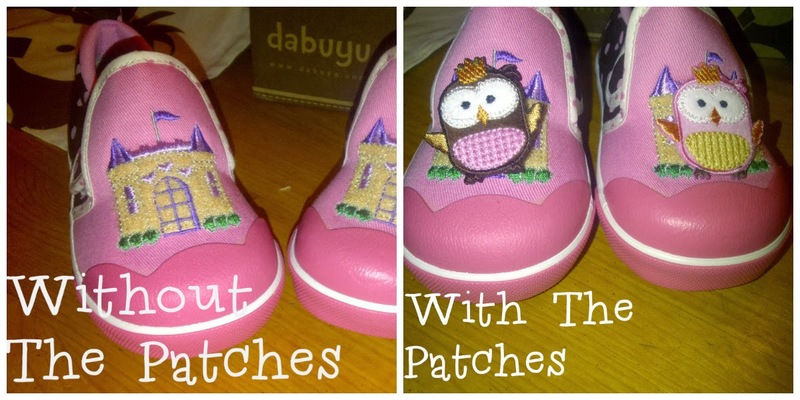 Like I mentioned above you can remove/change the patches on these darling shoes to change up the look of them, like with the fairy tale ones, you could leave just the castle or add on the adorable little owls! And there is a whole section at Dabuyu of Patches you can order to change your shoes even more! Even Down to the soles of these shoes scream cuteness! 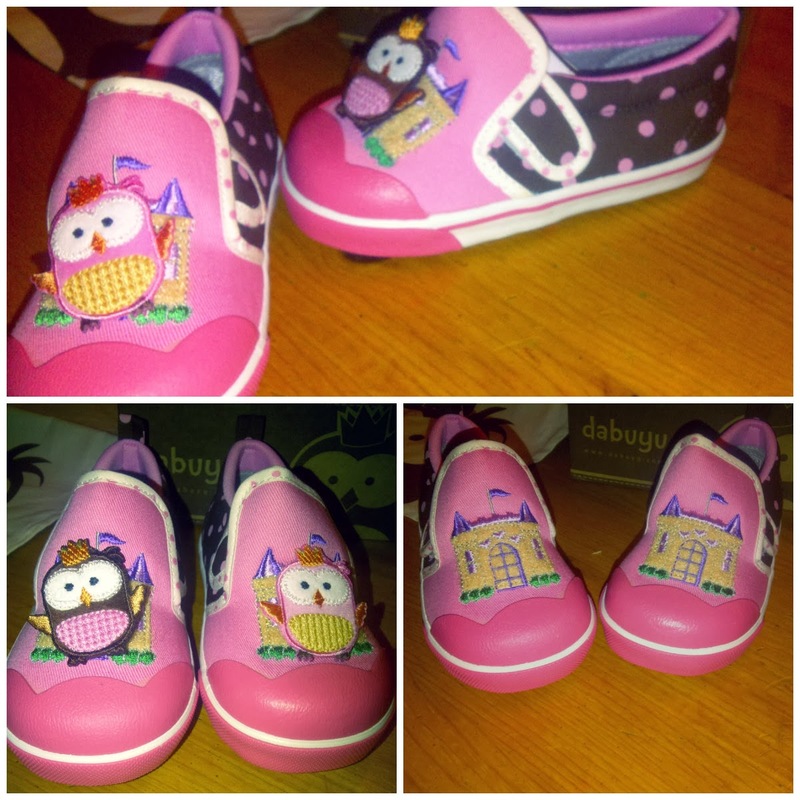 As you can see I didn't get the picture before my daughter wore them, but Look how cute with the owls and Dabuyu logo on the bottom! Overall We Love our Dabuyu Shoes! My daughter has picked them to wear everyday now since they arrived at our home, and they are easy to put on and actually stay on little ones feet! Want to Win your choice of Dabuyu Shoes?!? 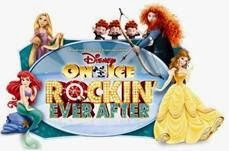 I'd pick the Fairy Tall Girl (toddler) for my daughter! I love the Safari Girl (Toddler)! I like the Winter Wonterland Girl (Little Kid) shoes. Thanks for the chance to win! I'd pick the Safari Boy pair. I would pick the Wheels Boy Shoe! The owl ones are so cute. Would look adorable on bella.